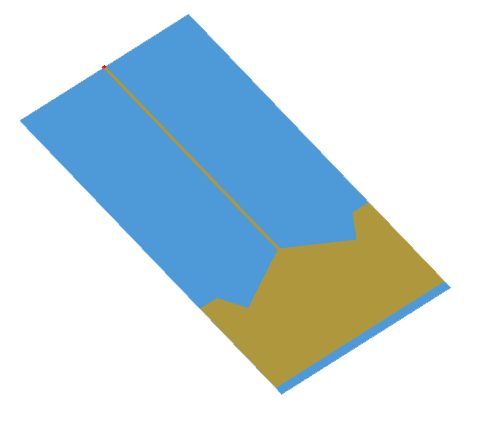 Image of the M-shaped planar monopole antenna. 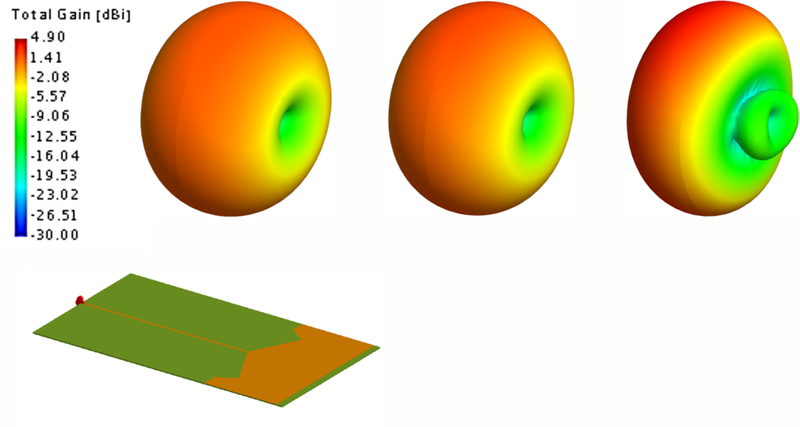 This antenna forms part of a class of planar antennas that employ various shaped monopole elements (such as elliptical or tear-drop shapes) to achieve widband performance. These antennas are typically suitable for use in mobile devices that operate over multiple frequency bands for wireless communication and networking, as they provide omnidirectional, linearly polarised radiation with medium gain with very wide impedance bandwidths. 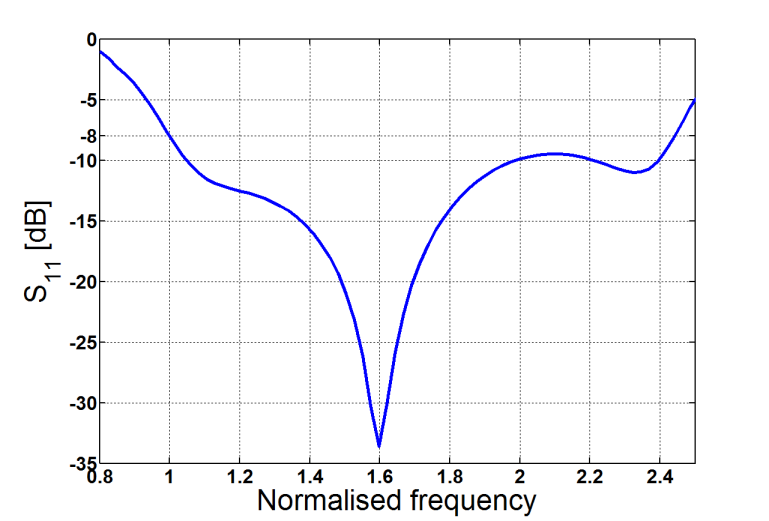 Radiation pattern of the M-shaped monopole antenna at the minimum frequency, at 1.7 x the minimum frequency and at 2.35 x the minimum frequency. The M-shaped monopole antenna, however, is unique in that it provides improved operation at lower frequencies when compared with planar monopoles of similar size. 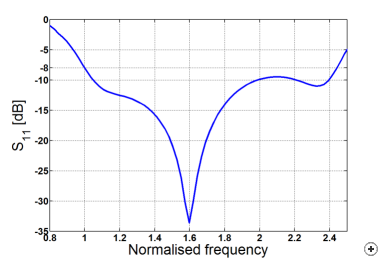 This improvement in low frequency performance is achieved by the inclusion of a T-shaped groundplane extension below the monopole element. 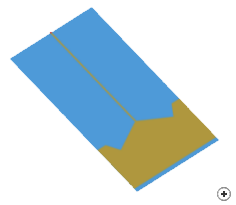 The M-shaped monopole antenna has a wide impedance bandwidth.